Isn’t this just the cutest thing in all the world? You can’t beat a toddler in dungarees and this denim dungaree dress from Next is just perfect. I picked this up in the January sales. The gorgeous blue really brings out the colour of Rosalie’s eyes. I could just EAT her!! Rosalie’s floral top is also from Next in the current Spring/summer collection. It is really good value and comes in a pack of 3 for £11. Rosalie’s tights are from Sainsburys. Her navy shoes are from start right. 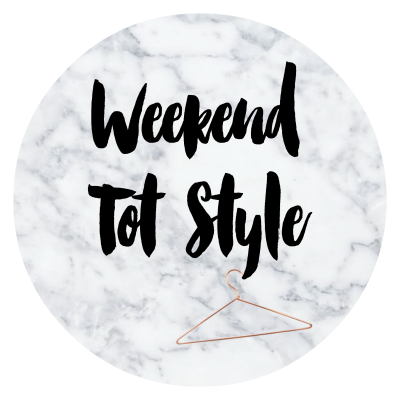 This post is part of the weekend tot style link up. If you fancy joining in with this week’s link up you can do so here.